Prototype: Gantry signal tower for Kreuztal North, located on the Ruhr-Sieg line at the Kreuztal passenger station, is an electromechanical signal tower built in 1931 and currently a protected monument. Model: This model is intricately laser-cut and exact with numerous details. The model's frame, interior area, and superstructure are made of graphic arts quality cardstock. The model has window material, roof gutters, and downspouts. 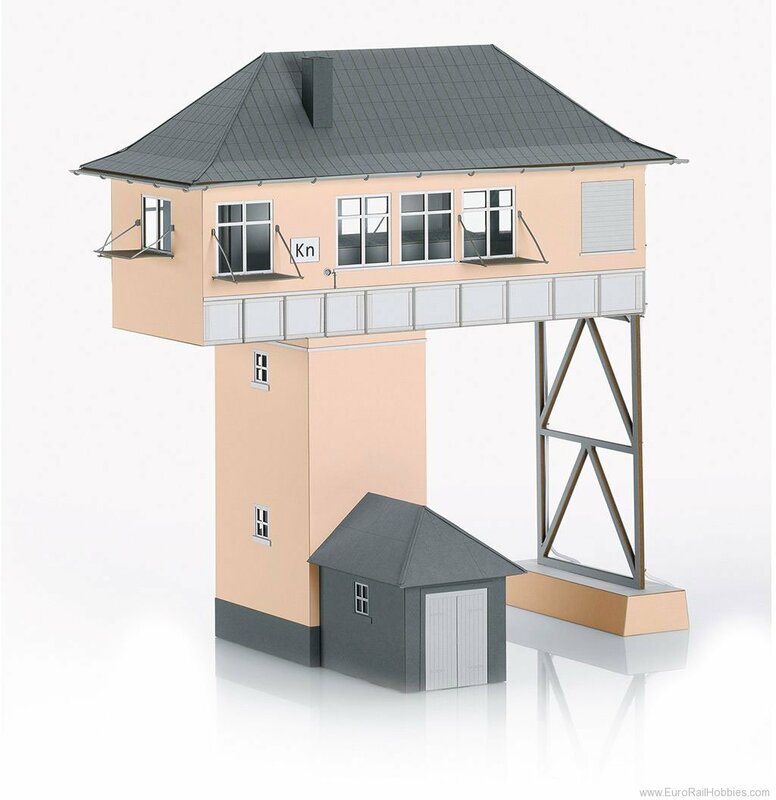 Signal tower dimensions: about 400 mm x 180 mm x 380 mm / 15-3/4" x 7-1/16" x 15" (L x W x H) H= ridge height. Suitable for many eras (II-VI).